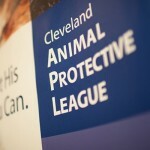 WJW Cleveland Raises Funds for Animal Protective League | Broadcast Public Service: Local Stations. Big Impact. Tribune Broadcasting Company’s Fox affiliate WJW-TV Cleveland held a telethon for the Animal Protective League on September 17. Through pledges on phone and online, the telethon raised more than $128,000 to help sick and abandoned animals. Numerous cats and dogs were adopted during the telethon as well.